Looking to buy a new phone this holiday season? Check out our list of some of the best smartphones you can purchase today. With high dynamic range resulting in amazing picture quality, the Galaxy S5’s 16MP camera is its main feature. But of course, that’s not all this brilliant phone has to offer. Samsung has also improved the phone’s durability and usability from its S4 predecessor, with improved resistance to dust and water. Its awesome apps include fitness-tracking abilities, which have been enhanced since the Galaxy S4, along with a dedicated heart rate monitor. Its fingerprint scanner makes this phone one of the most secure Galaxy phones ever created. Although its silver edge and Elastoplast-style back won’t be of everyone’s taste, the market for its use with companion products such as the Gear smartwatch and Gear Fit fitness band are growing, though relatively small. No doubt about it, the iPhone 6 has a very pleasing design, and along with its user-friendly simplicity, it’s one of the best phones to ever hit the market. It picks up where the 5s left off, with a larger 4.7-inch display, improved battery life, and a slimmer body than ever before (just don’t bend it!). Although no one feature stands out, as they’re all nothing short of astounding, Apple proved again that it can reinvent existing ideas into a whole new product. Vocca is much more than meets the eye. This simple-looking gadget is actually a lighting adapter that turns traditional bulbs into voice-activated ones. Stored inside is a microphone, an AC-to-DC converter, Bluetooth and memory, a natural language processor, and load relay. It doesn’t require Wi-Fi, set-up, or installation. Just by saying “Go Vocca light,” the device will be alerted that you’re ready to give a command, and from there, you can turn your lights on or off just by using your voice. With the compatible app, you can also schedule on/off times. Amazon recently announced that it’s building a speaker that can be controlled with your voice. Called Echo, it acts like a personal assistant that’s similar to Siri or Google Now — just crammed into a speaker. By using seven microphones equipped with sensors that use beamforming technology, it listens for user requests, and can even understand you while it’s pounding out 360-degree audio to fill the entire room. Designed to make your life a little bit easier, Echo, which responds to “Alexa,” can also tell you the weather and answer general questions with facts from Wikipedia. Apple came flying into the smart-home sector with the idea of HomeKit, a framework in iOS 8 for communicating with and controlling connected accessories. Once available, and by using Siri, HomeKit will allow users to control locks, lights, cameras, doors, thermostats, plugs, and switches at home. Operating on a variety of protocols such as Wi-Fi, Bluetooth, ZigBee, and Z-Wave Homey is a voice-activated automation hub that can communicate with a bunch of differently configured gadgets at once. This voice-controlled sphere is also multi-lingual — it understands English, Dutch, Spanish, and French, and is compatible with a variety of app-enabled smart home products. Style-star and E! news anchor Giuliana Rancic plunged into the competitive wine industry with her latest project, Xo, G this past November, and it’s making quite the splash. The stackable single-serving wine is the perfect portion for when you need that one drink, without worrying about spoiling the rest of the bottle. While a regular bottle of wine has its place and time, there are many situations where it just doesn’t cut it. 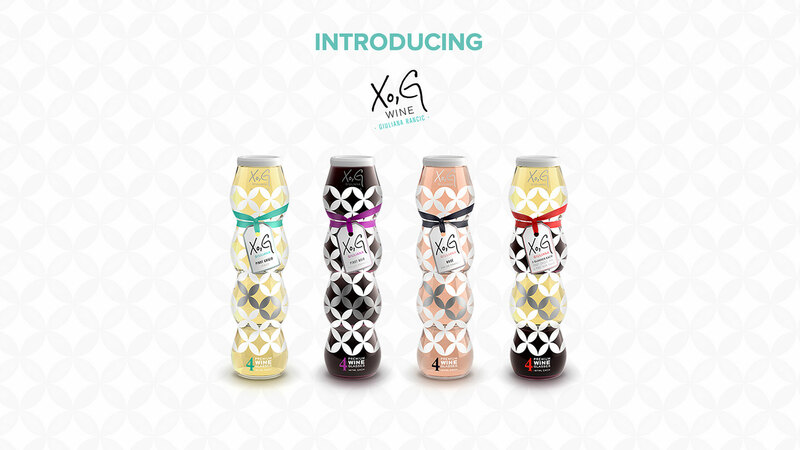 Inside the four tear-apart individual packages of Xo, G, which add up to a 750ml bottle, you’ll be able to sip on French Pinot Noir, Italian Pinot Grigio, and a Rosé from the South of France. It’s an easy way to avoid the hassle of a corkscrew and glassware, and you’ll be set with different portable glasses of wine. Simply zip loose the sleeve, snap apart the glasses, and peel back a foil to enjoy. So where did this brilliant idea come from? According to Rancic, it was after discovering StackTek, a single-serving packaging company, that she began thinking outside of the bottle. “Being Italian I have always wanted my own wine, and once I saw this packaging I reached out to the StackTek team and Xo, G was born,” she said. Smoky, strong, and bittersweet, the Boulevardier is probably the best cocktail to cozy up to on a chilly winter’s evening. This fancy drink, whose name transfers to “a wealthy, fashionable socialite,” is a subtle combination of bourbon, sweet vermouth, and Campari, making it a breeze to prepare and easy to impress. Sometimes mistakenly called a whiskey Negroni, the Boulevardier cocktail is actually believed to predate the Negroni. 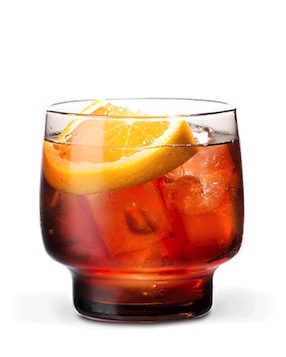 According to Dave Karraker, director at Campari & Cynar Marketing, it maintains the bitter sweet character of the Negroni but isn’t as embracing. “The Boulevardier has a deeper, smoother flavor than a Negroni thanks to the aged whiskey, which replaces the gin in the classic recipe,” Karraker said. A team of scientists at the Georgia Institute of Technology have developed the world’s smallest electric generator. At just one atom thick, the device is made from molybdenum disulphide (MoS2), which is a clear, flexible material that opens up huge possibilities for the future of electricity generation. The new electrical generator is an example of piezoelectricity, or electricity that’s generated from pressure. Piezoelectric materials have had almost an infinite amount of potential uses, especially in the nanotechnology field, but until now, scientists have struggled to make them flexible and thin enough to be practical. Shown is a sample of the material that was tested as part of the research. Image: Rob Felt/Georgia Tech. After realizing their mutual enthusiasm for maps, or, more likely, bizarre patterns in our planet’s surface, data visualization designer Benedikt Gross and geographer Joey Lee collaborated on a project called Aerial Bold. The project, which was inspired by the many shapes of pools in Los Angeles, will be the first typeface created from shapes and patterns from Earth’s topology. Since the duo spends so much time looking at satellite images, it was only a matter of time before they got creative with it. After realizing there are some letters in the images, as with any oddity, they began noticing them all of the time. By 2050 the aircraft industry will be much different than it is today. The predicted seven-fold increase in air traffic will bring a four-fold increase in greenhouse gas emissions, unless significant changes are made. But how drastic will these changes need to be in order to prevent this issue and how will they affect today’s aircraft that cruise through the skies every day? The airliner is about to be re-invented. Shown above is an aircraft with a blended wing body. Image via space.com.